I'll admit it, I'm a girl-watcher, always have been, and always will be. Now calm down now, if that's you, too, you're not some kind of a weirdo. In fact, if you weren't a girl-watcher, I'd consider you weird. In a long life, everyone I've ever met has been a girl-watcher. Male, female, young, old, gay, straight. Everyone likes to look at women. As I drift into my senior years, seeing a lovely young woman increases my belief in a loving God. Or in the power of evolution, if that's what you prefer. Come on, let's go look at some girls! 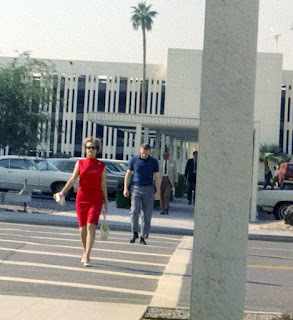 Walking towards the Del Webb Townehouse in the 1960s, wearing a red dress. It's the 1960s and we're in front of Del Webb's Townehouse, which is at 100 W. Clarendon. The palm tree back there is a Washingtonia Robusta, and the architecture is... oh never mind. Yes, that's quite the dress! 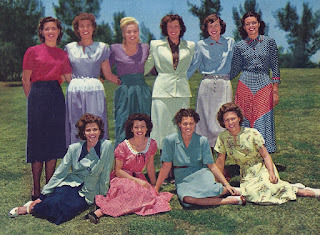 The A-1 Queens Softball team in 1949, Phoenix, Arizona. Now let's time-travel to 1949 and meet the A-1 Queens, who played softball in Phoenix. Yes, they were excellent players, but they were also chosen for the team based on being pretty girls. It all started during World War II when the boys were away, and people still wanted to watch them play ball. 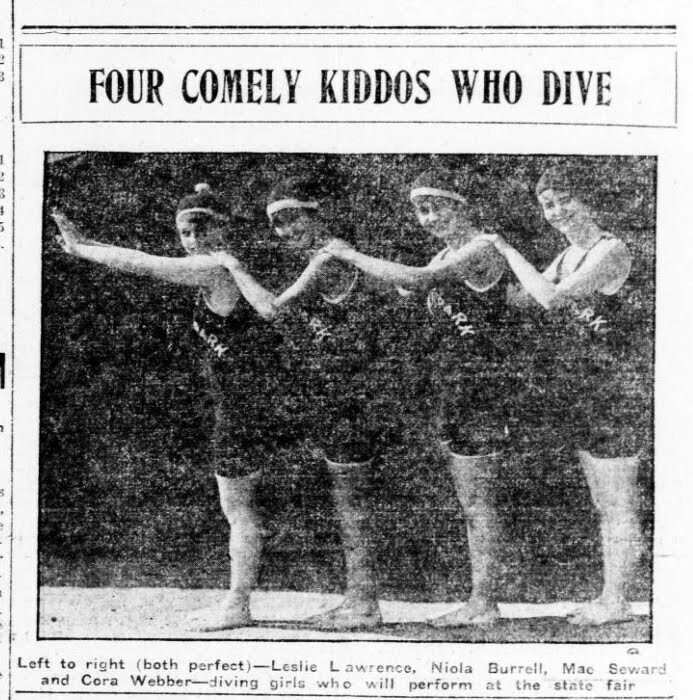 But make no mistake, these girls weren't just pretty faces, they were excellent players. In fact, you could say that they were in a league of their own! 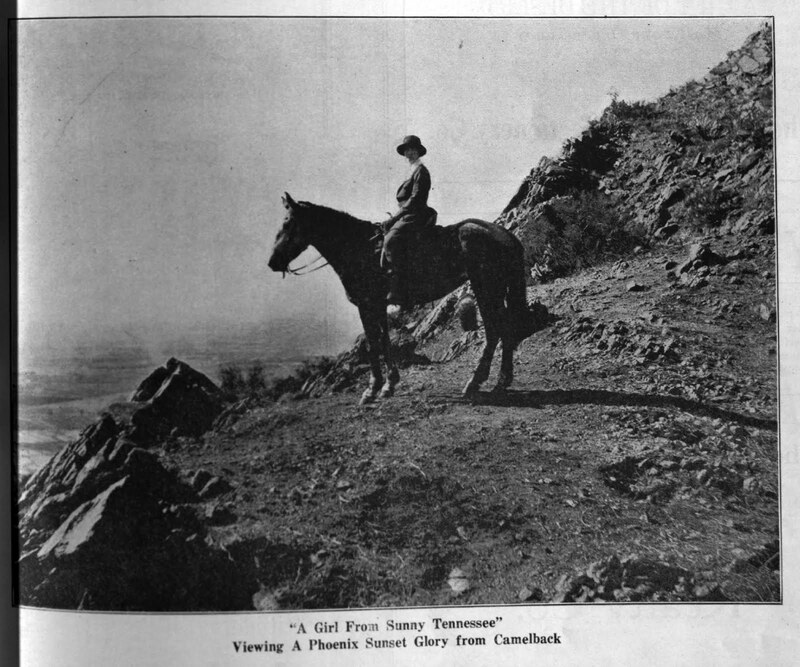 On Camelback Mountain in 1922. 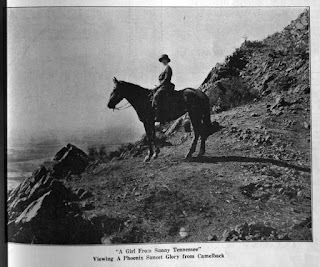 It's 1922 and we're on Camelback Mountain with a girl from sunny Tennessee. Nowadays of course you can't ride horses up there, but back then it was a popular thing to do. I can't really make out exactly what we're seeing in the background, the distance seems to be pretty murky, there's dust and besides, it's an old picture, the caption does say sunset, so it has to be west, or southwest and... oh never mind. Yes, she's lovely. And yes, I did notice the hat! Thank you for girl-watching in old-time Phoenix with me! 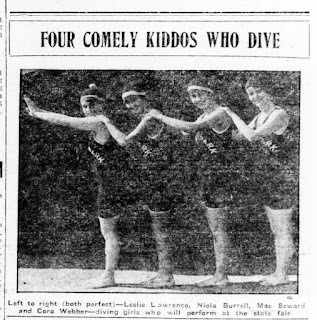 Image at the top of the post: Diving girls at the Arizona State Fair in 1915. Pretty risque outfits!